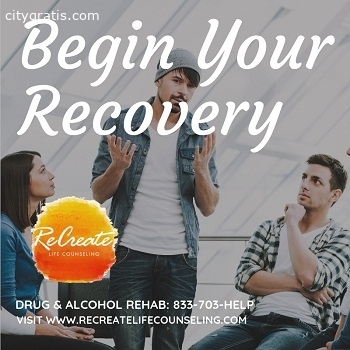 Recreate Life Counseling offers partial care and intensive outpatient treatment programs in Boynton Beach, Florida, designed to meet the individual needs of each client. We believe that by helping our clients recreate themselves, they are more likely to achieve and stay in recovery. TÚ PAGAS hasta que lo tengas a TÚ LADO!